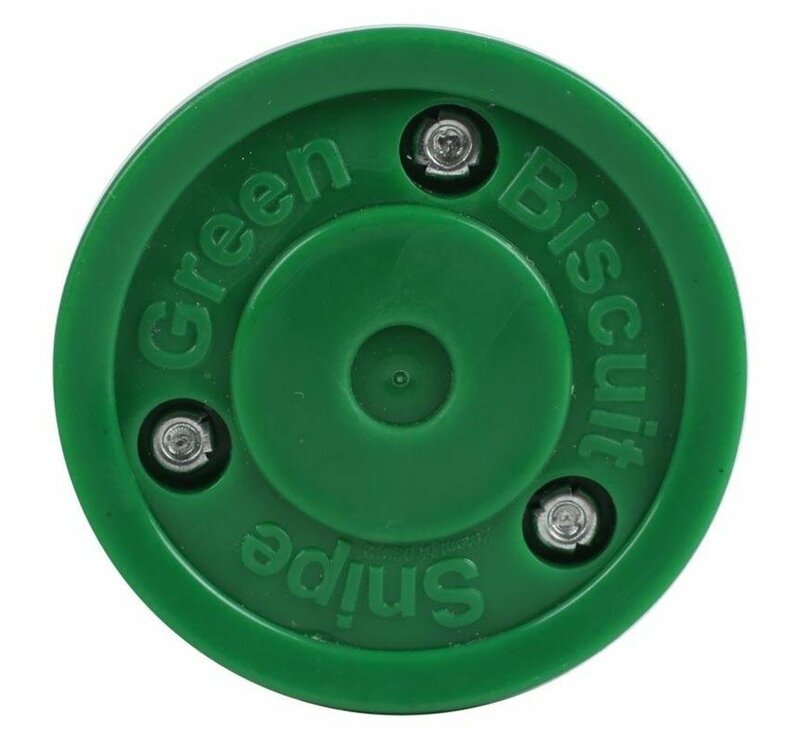 The Green Biscuit Snipe Training Hockey Puck is an off-ice training hockey puck that helps develop exceptional shooting skills. 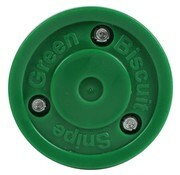 The Green Biscuit Snipe Puck weighs 5.2 oz in comparison to the original green biscuit weighing in at 4.6 oz. Therefore, the added weight provides a more realistic shot feel. 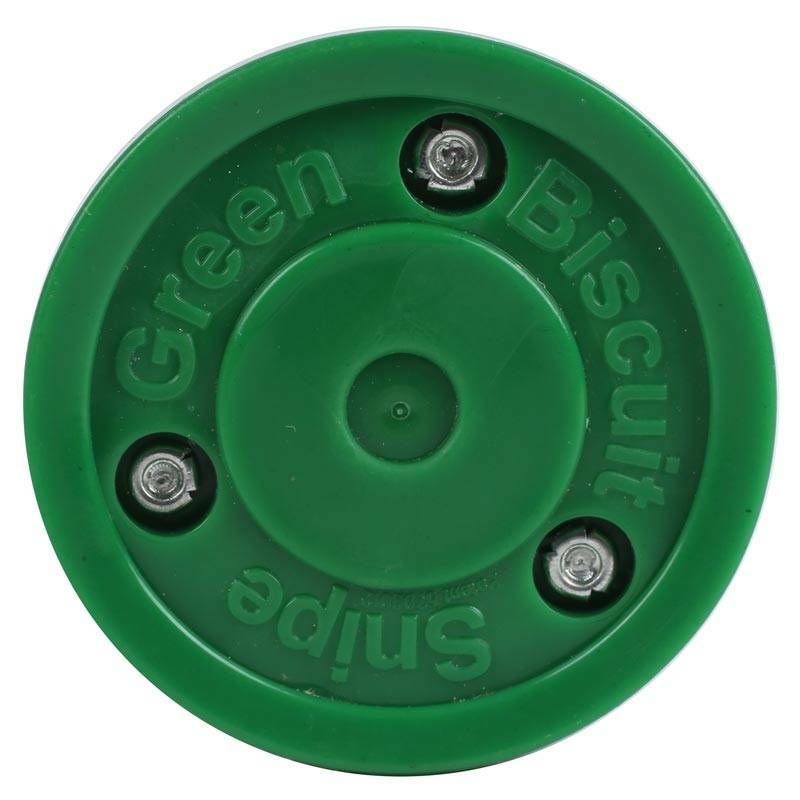 The Green Biscuit Snipe Puck is able to endure high amounts of impact compared to the original plastic material, which means less shattering against posts and sides boards. 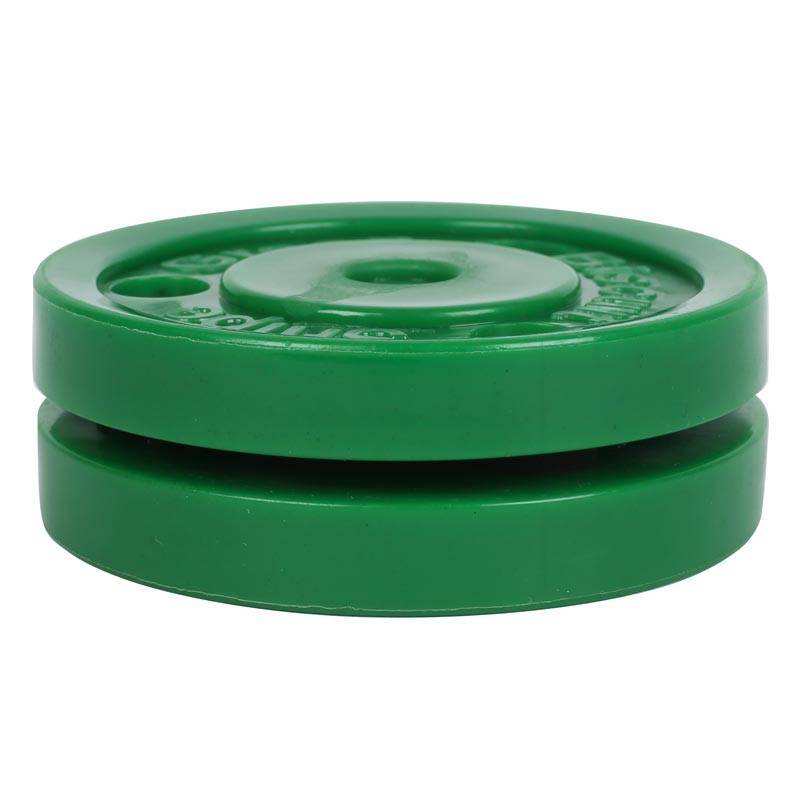 The material is comprised of a rubber component making it more reliable when performing an array of shot types. 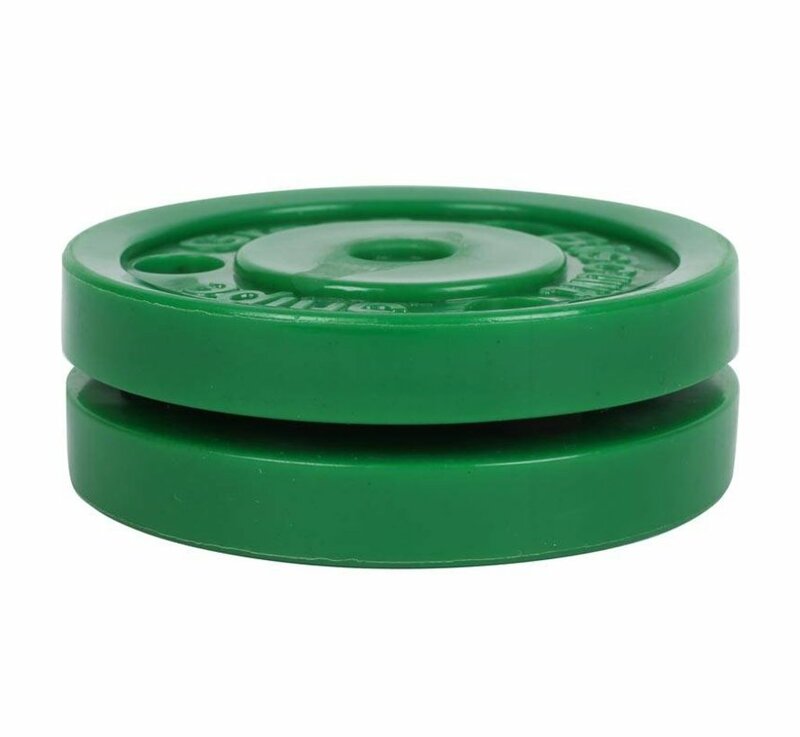 Lastly, the color scheme consists of darker green shading, which makes the puck more visible when playing. 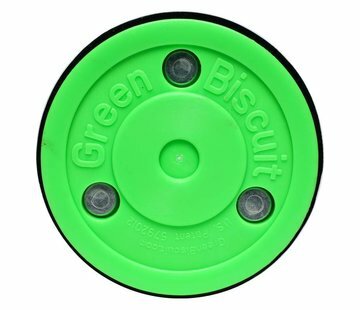 The Green Biscuit Snipe Training Hockey Puck is primarily a shooting puck and not meant for passing and stick handling.